North Texas has so much to offer residents who live here or out-of-towners who plan a trip to our region. DART’s kicking off our newest series, “Destination: North Texas” and over the next few weeks we’ll explore just what makes North Texas so special. Keep reading to learn more about the North Texas culture that makes our region a destination! These days, it’s easy to access great music. Blues icons, from Lead Belly, to T-Bone Walker, made our region their home. Deep Ellum is one of these cultural music epicenters in North Texas having maintained its status as the hotbed of blues, jazz, and soul for decades. Whether you’re travelling by car, a quick walk, or hopping on DART’s green line, Deep Ellum has great music venues from Trees to Dada Dallas to Three Links; all boasting great line ups and excellent shows that are sure to entertain. Some of North Texas’s best music venues lay beyond downtown Dallas. Looking to catch some traditional country tunes outside? Look no farther than Love and War in Texas located in Plano. Residents from all over the region may want to journey up there via DART’s Red Line this summer or fall to catch some great country acts under the stars. And slated to open in the Fall of 2017 is Irving’s newest entertainment destination, The Music Factory. The Pavilion at Irving Music Factory is a groundbreaking convertible venue that can transform from a 4,000 seat indoor concert hall to an 8,000 seat outdoor amphitheater and is easily accessible by DART’s Orange Line. One of the best things about living in North Texas is the cultural mix that offers up some of the most exciting and interesting cuisine. Oysters: Check, Barbeque: Check, Tex Mex: Check. Whatever you’re craving, we can ensure North Texas has it! Visitors from all across our nation and the world, visit our region to try our phenomenal and unique culinary exploits. From El Fenix, to Cattleack Barbeque, to Keller’s Drive-In, North Texas has something for everyone. DART wants to know your favorite destination in North Texas! Tell us or show us by snapping a selfie and posting it via our Facebook page and we’ll feature you in an upcoming DART Daily! Up for some learning? 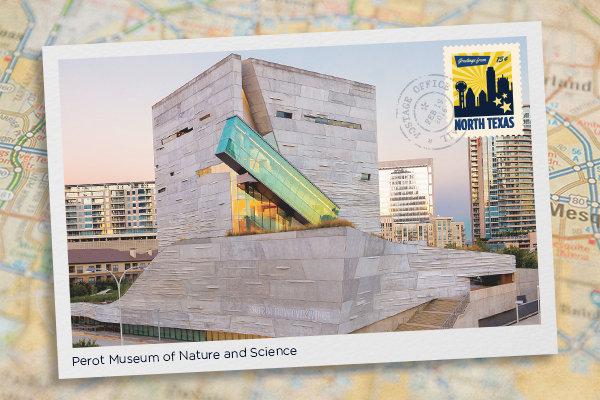 You can’t beat the Perot Museum when it comes to interactive education and exciting exhibits. Gather up the family and hop on a DART bus or train to downtown Dallas to catch the newest exhibition, “Maya: Hidden Worlds Revealed,” uncovering every piece of the Maya civilization. Been there, done that? North Texas has so much to offer when it comes to museums and education. Check out some aviation engineering at the Cavanaugh Flight Museum, or some great art at McKinney Avenue Contemporary. How can we talk about North Texas and not mention our athletic prowess? From the Mavericks to even our local college teams, you’ll have no problem catching a live game when there are so many that are accessible in our area. Whether you are visiting from abroad, or exploring your own hometown, North Texas has something for everyone. So take some time and hop on DART to explore the music, sports, food, and history, and find out why North Texas is a destination our residents can be proud of.